Left: Coil Series I by Claire Zeisler. From Claire Zeisler – A Retrospective, Art Institute of Chicago, 1979. 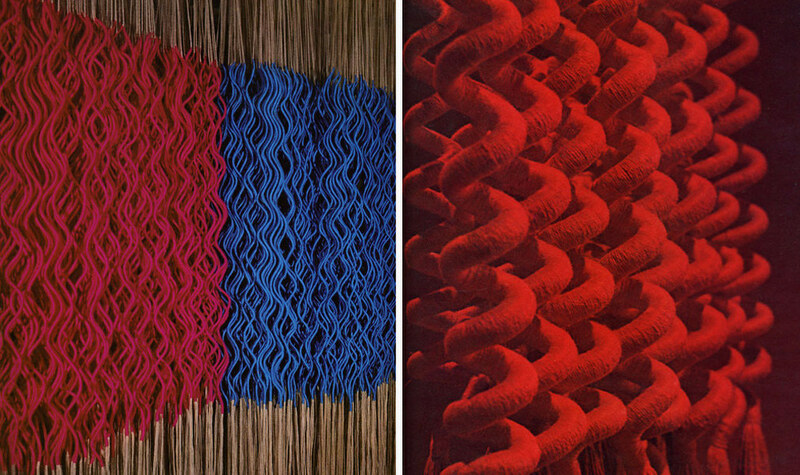 Right: Red Forest II by Claire Zeisler From Beyond Weaving by Marcia Chamberlain and Candace Crockett, Watson-Gutptill Publications, 1974. Cathy Callahan is a jewelry designer and textile artist based in Los Angeles. 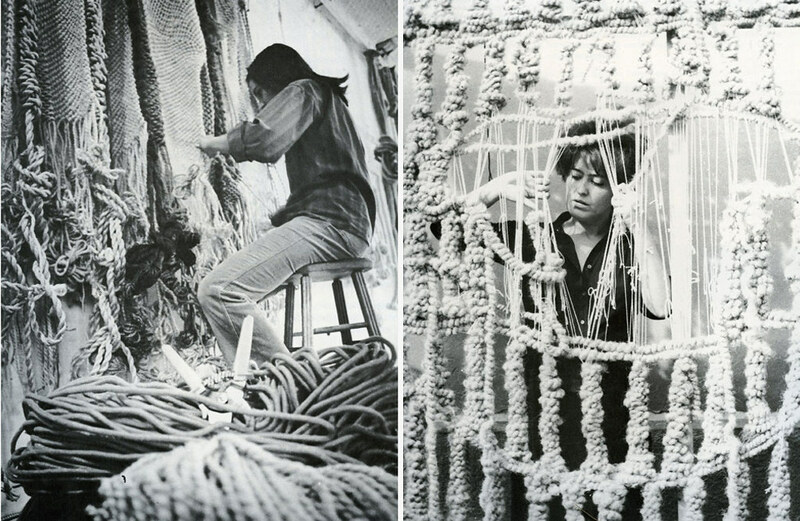 Callahan is heavily influenced by the work of textile artists from the 1960′s and 1970′s, such as Anni Albers, Sheila Hicks, and Clare Zeisler. In anticipation of her upcoming workshop this Sunday, we asked Cathy to share some inspiration images from her vast archive. Crocheted Rocking Chair by Carol Shaw, circa early 70s. From Beyond Weaving by Marcia Chamberlin and Candace Crockett, published by Watson-Guptill, 1974. Images from Creative Textile Design: Thread and Fabric by Rolf Hartung, published in US by Reinholt, 1964. Left: Jagoda Buic, Right: Francoise Grossen. From Beyond Craft: The Art of Fabric by Mildred Constantine and Jack Lenor Larsen, 1972. Cathy will be teaching a Fiber Art Jewelry Workshop at Poketo this Sunday, May 4th, and there are still a few spots left. For more info and to reserve a space go to poketo.com.